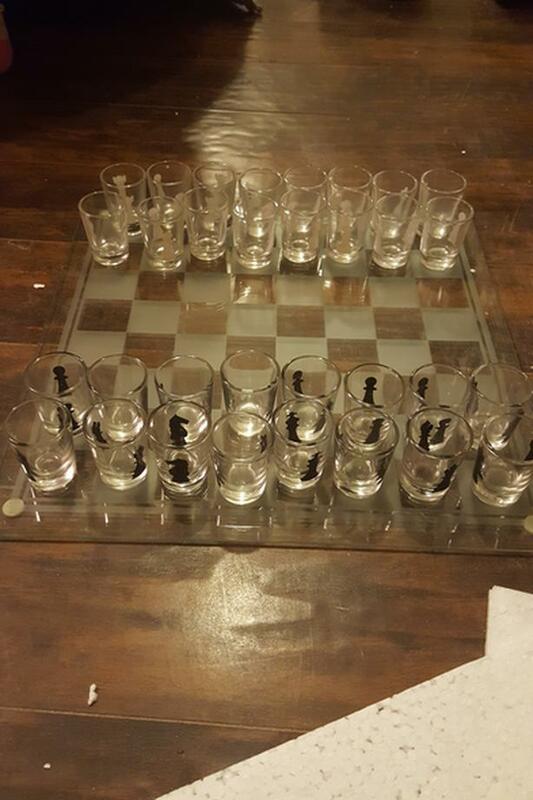 Shot glass chess set. Never used. In original box. I have a nice glass chess set with shot glasses for the pieces. Great game for parties. It has never been used, but has been opened and checked.